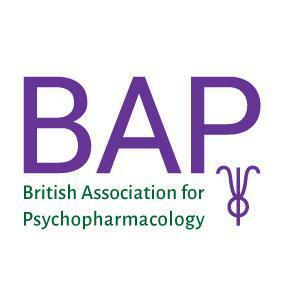 The British Association for Psychopharmacology (BAP) was established in 1974 in order to promote both education and research in psychopharmacology. The organisation strives to connect people in academia, health services, and industry. In other words, it’s a great place to go if you want to learn about and/or share your findings and experiences and/or discuss and debate within the field of psychopharmacology. Find out more about the BAP on there website by clicking here. The BAP Summer meeting 2018 will take place at Imperial College London. The programme encompasses the field of psychopharmacology covering topics from compulsive disorders to neuroimaging and everything in-between. "My talk will explore the growing evidence that psychiatric disorders can be meaningfully understood in terms of alterations in brain function. This approach has developed from modern neuroimaging techniques such as fMRI and PET. It not only explains the origins of these disorders but also offers new approaches to discovering innovative treatments. We hope it may also help de-stigmatize psychiatric disorders"
Professor Daniel Weinberger of John Hopkins University, USA will be delivering a guest lecture titled "Genomic insights into the neurodevelopmental origins of Schizophrenia" on Monday 23rd July at 11:45 - 12:30.